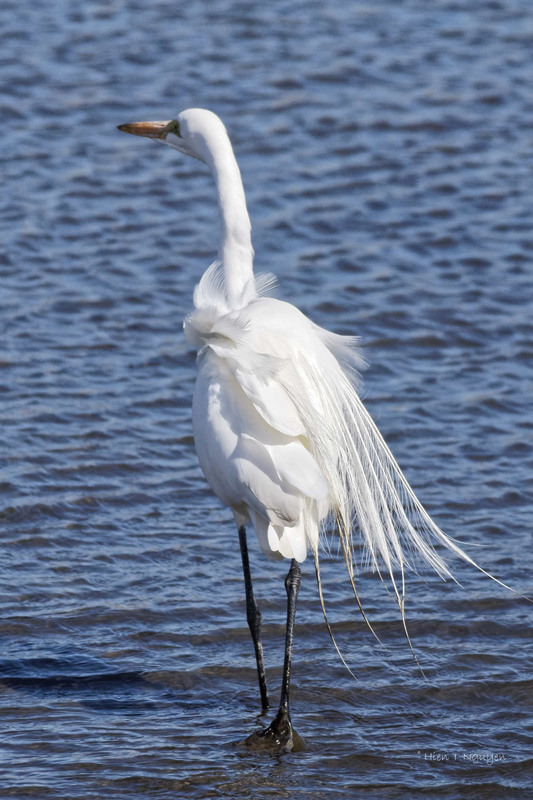 This was the first Great Egret I saw at the refuge this Spring. It was still cold and quite windy so it did not stay too long. 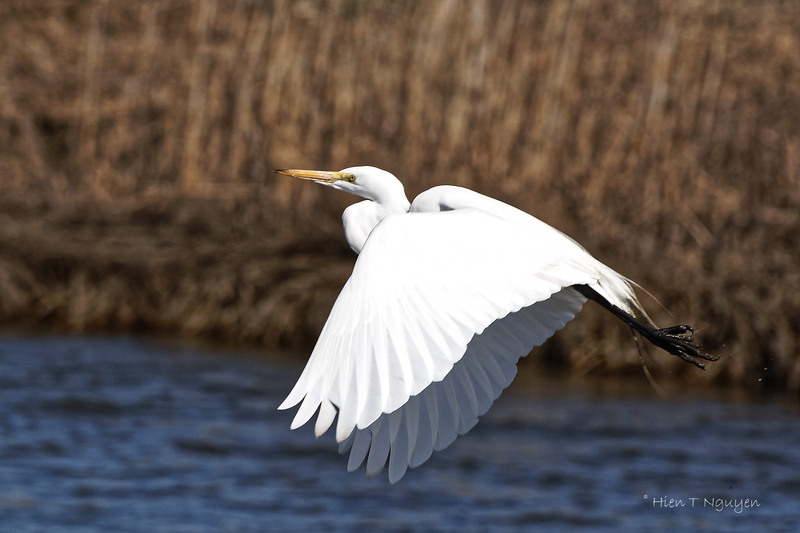 Great Egret starting its flight. Doda, Spring is dragging its feet this year. Snow fell again yesterday in our area. I know,seasons are in turmoil in many parts of the world,UK had a White Easter,they experienced the coldest Easter on record. Oh la la, like the French say! Nice captures, my pick is the second one with the open wings. All great. Those beautiful feathers, dragged in the mud. 🙂 It makes it that much more interesting. Breeding season brings out the best feathers and the green color around the egret’s eyes, although they are not yet at their peak for this egret. I always forget about the changes around the eyes! In Spring it’s always easy to see why so many egrets were killed for the feather trade, way back when. Thank god that no longer happens! It does, and that’s another nice surprise that this state offers. Beautiful bird. I love the photos….standing….to flight. Congrats on this capture….cold and windy was probably an understatement. Eliza, you are right, of course! I loved the details in the feathers in the first image, but they’re all great! Thanks Jerry! These were taken with the 7D II. What a beauty, Hien. I love the feathers fluttering in the first photo. 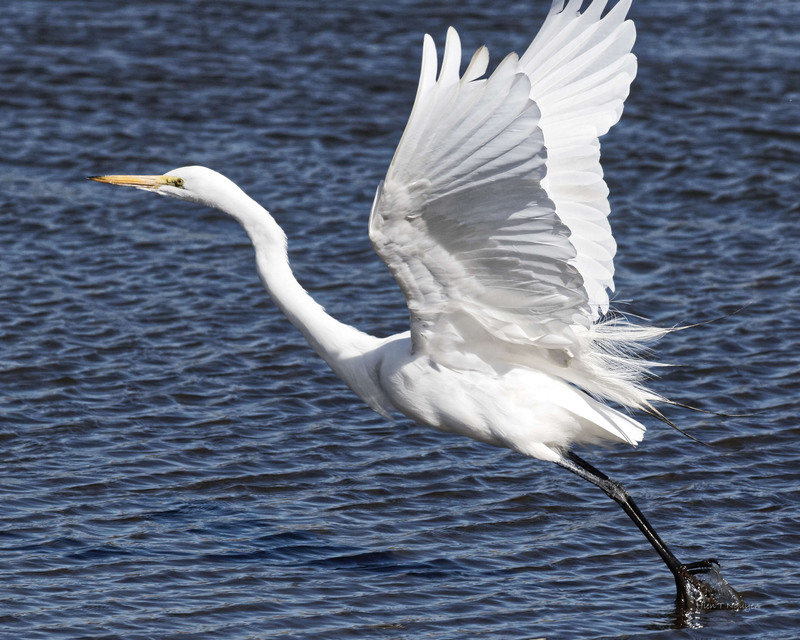 Egrets are among the most photogenic birds, especially in flight as you have noticed, Lois.